On the earth’s calendar: midwinter full moon. 200s CE: a tax day for tithing fruit trees. 1700s CE: a mystical celebration. Today: an opportunity to open and grow. we consumed tree fruits only starting in the fifth year. Talmud evolved Tu BiShvat as the birthday of all trees to help fulfill these traditions. Today, we honor Tu BiShvat to renew our spirits and prepare ourselves, and the world, for spring’s arrival. … with roots in creation and branches spreading far and wide …. Today we invoke this spirit of the Tree of Life. as a “tikkun” — a ritual of repair. as we and God most wish it to be. In Hebrew, the word for sap is saraf, which means fire. The Hebrew month of Shvat is a time to warm the world, and Tu BiShvat is a day to welcome and honor the sap – the water in trees that allows life to return. 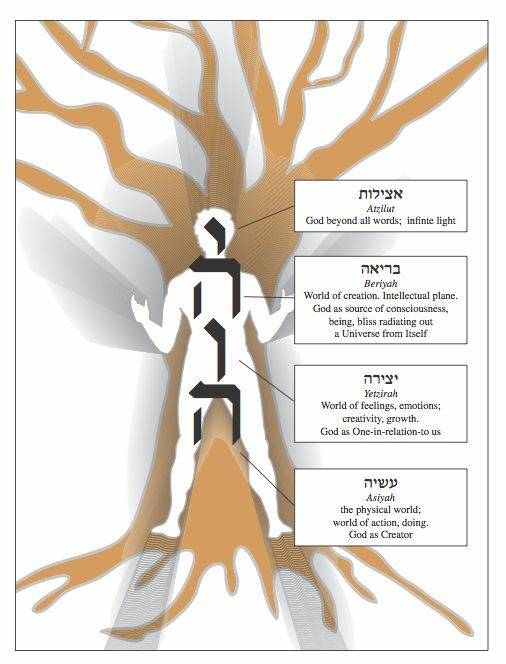 Tu BiShvat represents the rising life force as our year moves toward spring. 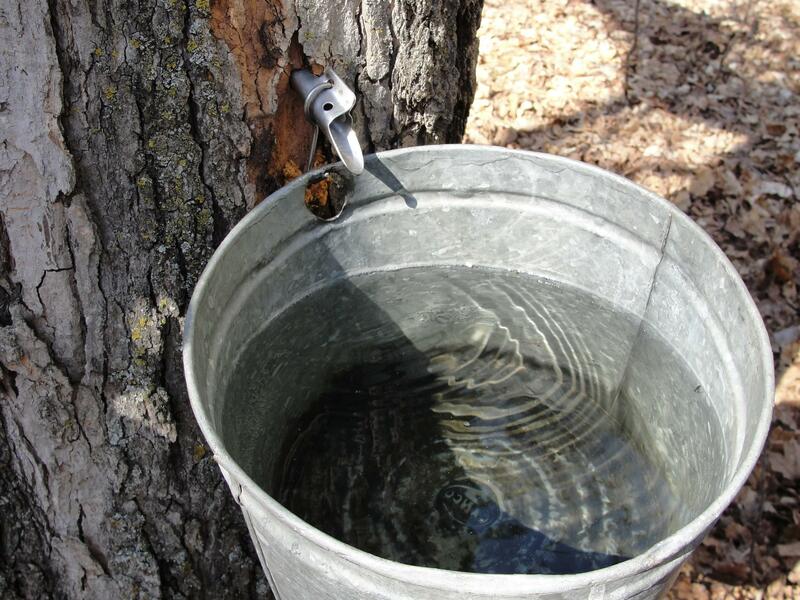 On this day, says tradition, sap begins to rise from the ground, and trees begin to nourish themselves to bloom anew. We cannot see the sap rising with our eyes: To see the sap rise, we need a different kind of vision. What spiritual sap do you yearn to see rising in you? For what new growth do you hope as spring approaches? the ground is frozen under the crust of snow. The trees snooze, their buds tight as nuts. Rhododendron leaves roll up their stiff scrolls. to bubbles when their native vines bloom. the pansybed of sparrows and juncos, all hungry. of the fervid green year await release. inanimate, plant, animal and human. enjoining us to lift our hands in holy service. embodying the Name of God written in us. We live in the world of assiyah, action and physicality. is hidden by the shell of appearance. Assiyah is associated with winter. but we know it contains the life of the spirit below. symbolizes winter’s pale light and snow. In winter we layer ourselves in protective clothing. The fruit we eat for the world of assiyah likewise has a protective covering. Removing these hard shells exposes a vulnerable inside. When does it serve you well, and when does it inhibit you? The shell that conceals these fruits also protects. In the world of school, work, and everyday activity, our spiritual selves require protection. …and may we discern safe and holy times to open. The Gemara teaches that we should strive to see how even those who seem “empty” of goodness are filled with mitzvot, just as a pomegranate is filled with seeds. May we be blessed to see the good in each other and to cherish each others’ sweetness. iron into plows, words into poetry. creative power: both ours, and God’s. Yetzirah is the world of emotions and heart. Here we experience change & creativity, flux & flow, spring & water. To symbolize this realm, we drink white with a dash of red. and becomes vibrant in the spring. may we, like spring flowers, blossom into our full potential. We still have hard places inside. The world of yetzirah is connected with springtime. we will remove our coats and bask in the sun. Still, these fruits contain pits; we may still have hardness around our hearts. We still feel the need to protect what makes us vulnerable. Close your eyes. Imagine that you can see the stone you carry deep inside. What is bound up in the tight place hidden inside you? One of the tree fruits on our table now is the olive, a sign of hope. When the great flood began to subside, Noah sent out a dove. “The dove came back to him toward evening, and there in its bill was a leaf it had picked from an olive tree.” (Gen. 8:11). As we eat the fruit of yetzirah, may our hearts open to hope. We live in the world of briyah: thoughts and ideas. We think, we plan, we contemplate. so we imagine new worlds into being. Briyah is the world of the mind. associated with the season of Summer and the element of air. God breathes in us and through us.This teaching, concerning our interbreathing the divine breath “Yahhhhh” is from Rabbi Arthur Waskow. Briyah is the world of the holy breath of creation. we too will become warmer and more open. inner stone and no outer façade. The rabbis asked, “Why are the words of Torah compared to the fig tree?” They answered, “Since all the figs do not ripen at the same time, the more one searches the tree, the more figs one finds in it.” (Eruvin 54a) So it is with the words of the Torah — the more we study them, the more sweet morsels we find. Close your eyes. Imagine that you are soft all the way through: no shell, no stone. What reverberates in you, what flows through you, when you soften like this? may we find healing in our intellectual lives. May our thoughts be a source of light and hope. We live in the world of atzilut, essence and spirit. is actually filled with atoms and the spaces they contain. but it’s suffused with Mystery. associated with the season of Fall and the element of fire. To represent atzilut, we drink deep red wine or juice. The pure red liquid represents the full bloom of nature before winter. As nature expends energy in an explosion of color, the cycle is complete. and with our arms open to love. Close your eyes. Feel the spark of spirit that burns deep within you. Cup your hands around that light. What do you want to illuminate with that light as spring draws near? Atzilut is the world of spirit or essence. Some choose to savor a spoonful of maple syrup at this moment in the seder: the concentrated essence of the maple tree. Others choose a sip of etrog spirits, made with the fragrant peels from last autumn’s Sukkot. You create all things with Your word. Dip a finger beneath the living spigot. Perceived with our hearts, not our physical senses – achieving an inner vision that, at last, can see the sap rise. We can speak, at last, the secret blessing of the heart. that is ready, at last, to bring into the light of the coming spring? Master of the Universe, grant me the ability to be alone. May it be my custom to go outdoors each day among the trees and grass, among all growing things, and there may I be alone, and enter into prayer, to talk with the One to whom I belong. May I express there everything in my heart, and may all the foliage of the field — all grasses, trees, and plants — awake at my coming, to send the powers of their life into the words of my prayer so that my prayer and speech are made whole through the life and spirit of all growing things, which are made as one by their transcendent Source. May I then pour out my heart before your Presence like water, O Lord! May it be Your will, O God of our ancestors, that through our eating of the fruits You have created, the trees be filled with the glory of their ability to renew themselves for new blossoming, from the start of the year to its end, so that our lives too will be renewed and filled with goodness, blessings, and peace. more sunlight and bear more fruit. in order to become more fruitful? in order to sink your roots deep & grow? so the world can be better-nourished? Share your answers aloud with a neighbor. “Look at My works. See how beautiful they are, how excellent! For your sake I created them all. and then go out to welcome the Messiah.” (Avot d’ Rabbi Natan B31). whether or not we think the Messiah is near. is shared online as a free resource. This Tu BiShvat Seder Haggadah in presentation format was designed to be projected on a screen to save paper; accompanied by instructions for how to celebrate Tu BiShvat. It was first published to the website of Bayit: Your Jewish Home and hosted on slideshare.net by its creators: Rabbi Rachel Barenblat and Rabbi David Markus. This page was adapted from the plaintext of the presentation by Aharon Varady. 3. This teaching, concerning our interbreathing the divine breath “Yahhhhh” is from Rabbi Arthur Waskow. “סֵדֶר ט״וּ בִּשְׁבָט | Tu BiShvat Seder Haggadah in presentation format, by rabbis Rachel Barenblat and David Evan Markus (Bayit: Your Jewish Home 5778)” is shared by Rachel Barenblat with a Creative Commons Attribution 4.0 International license. Please reciprocate for any adaptation or redistribution of this work by (1) properly attributing the work to Rachel Barenblat, David Evan Markus and Bayit: Your Jewish Home, (2) clearly indicating the date you accessed the resource and whether any changes have been made (and if so, please be in touch with us and leave a comment below so that we might note your adaptation or improvement), (3) providing a link back to this source, and (4) specifying the Creative Commons Attribution (CC BY) 4.0 International free-culture license under which this work was shared.